It can take close to 30 years for a renter in San Diego to save enough money for the down payment on a home. 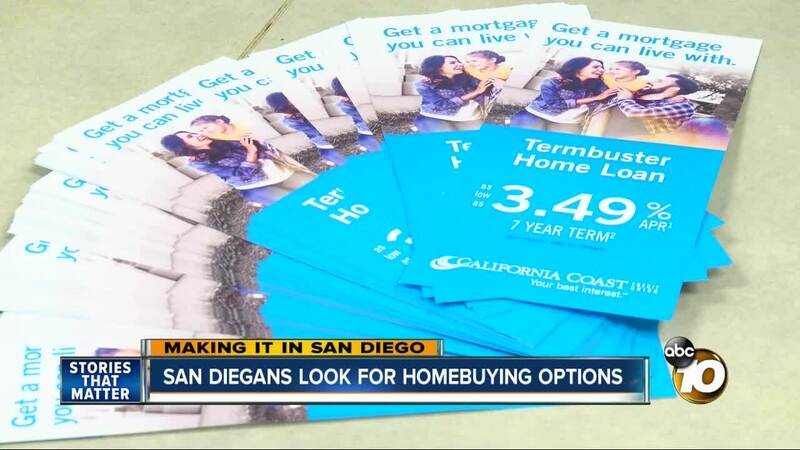 SAN DIEGO (KGTV) — It can take close to 30 years for a renter in San Diego to save enough money for the down payment on a home. Experts say there are ways to speed up the process. Jennifer and Allan Uy just bought a home for their family of four but to make that possible, they moved in with Jennifer’s parents to save money. They paid off $15,000 in debt and saved $20,000 for the down payment. “It’s actually like adjusting in terms of watching television, and they had like the Disney Channel on, and we had to take turns so I could watch the news,” said Jennifer’s father. According to Hot Pads, it takes 28 years for a San Diego renter to save enough to put down 20 percent on a median-priced home. Moving in with parents can cut that down to 12 years. Relying on relatives may not be an option for many San Diegans. Todd Lane, president and CEO of California Coast Credit Union, says you don’t necessarily need to save as much money if you have a higher income. “Look for a program out there with a mortgage lender that offers you the option for not having to pay for mortgage insurance and making less than 20 percent down payment that’s really the key,” said Lane. Lane also suggests you avoid making big purchases prior to applying for a home loan. “Don’t just go out and borrow for a car loan just before your gonna go out and get an home loan; keep that older car,” Lane recommended. Financial adviser Dennis Brewster said aiming for a condo instead of a home is a great way to get in the home buying game. “Anything to start building the equity helps – instead of paying rent,” said Brewster. Other pro tips include using 401K investments for a down payment, or having relatives co-sign the loan.